A few years ago, I found myself climbing El Cuauhcalli, an Aztec Temple of Eagle and Jaguar Warriors. They called it a pyramid but it was really a series of narrow steps and terraces carved into the mountainside built on the Cerro de los Idolos’ ceremonial – now archeological – site in Malinalco, a small town southwest of Mexico City. The security guard at the entrance swore it would take a brisk 20 minutes to climb the 400+ steps. I still don’t know why he lied to us. We’d arrived late and the ferocity of the midday sun almost stopped us before we began, until we saw a group of pilgrims, dressed completely in white, who were doing the same hike, singing and blissfully barefoot. There was no turning back – we followed the ghosts. 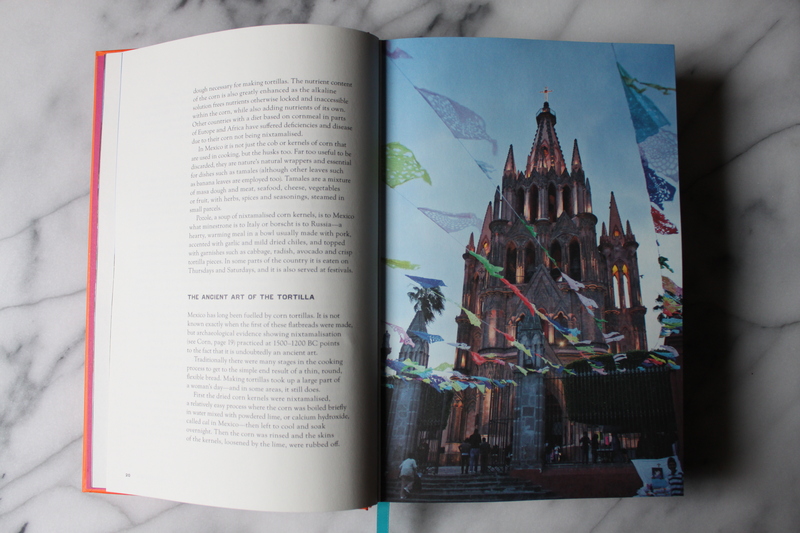 The memory of this this day came back to me when I started cooking from Margarita Carrillo Arronte’s uncompromising Mexico: The Cookbook. 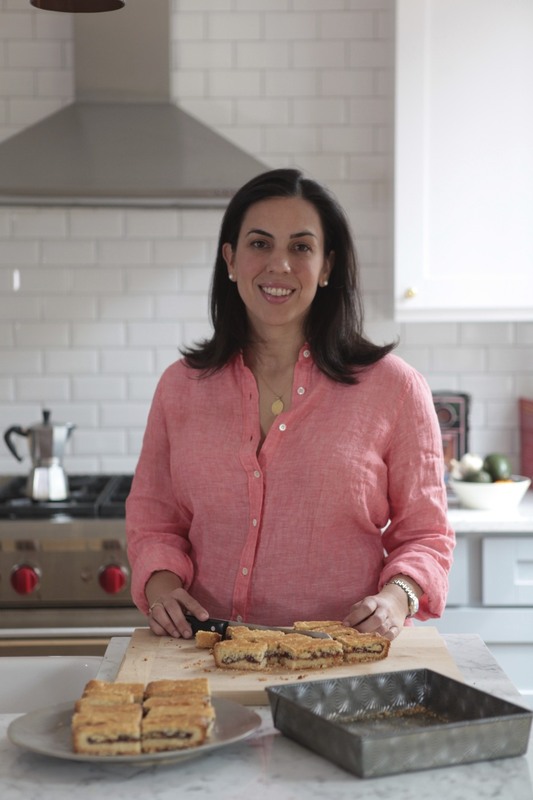 Typically, I’ll ping through the different sections of a new cookbook more or less knowing what I’m looking for before quickly settling on a recipe and moveing on. But with over 600 recipes and weighing in at 5 hefty pounds albeit wrapped in a delicate papel picado, there’s no skimming this one. I’ve started the day with eggs and chorizo, splurged on the beef tenderloin with a mescal rub, de-fanged nopales for cactus soup, and filled my house with smell of homemade chipotles en adobo. I can’t remember the last time I cooked continuously from the same book and it feels like I’ve barely cracked it. It was hard to pick just one to share but I finally chose gallina en huarache, a traditional dish from Aguascalientes. There was something in the balance of sweet and savory, old and new world ingredients in the recipe that felt right for the in between season we’re having. And then there was the name…chicken in sandals. How cute. There is very little in the way of headers or explanations in any of the recipes – just the region, prep and cooking time, and number of servings. Intimidating at first, there’s a directness and simplicity to the recipes, no matter how baroque, that makes you want to keep going, one step at a time. 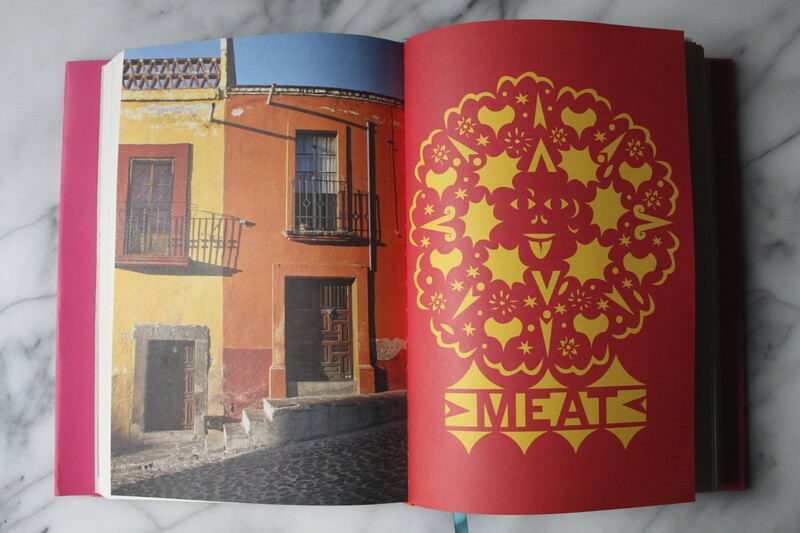 Excerpted from Mexico: The Cookbook © Margarita Carrillo Arronte, reproduced courtesy of Phaidon. Melt the butter in a flameproof terracotta pot or saucepan. Add the onion and garlic and cook over low heat, stirring occasionally, for 8-10 minutes, until lightly browned. Add the tomatoes, ham, and chorizo and cook for an additional 10 minutes. Add the apple, pear, pineapple, sweet potato, capers, almonds, raisins, saffron, cinnamon, and cloves. Cover and cook on low heat for 15 minutes. Remove the pot from the heat. Remove and reserve 2 cups (16 fl oz/475 ml) of this mixture. Cover it so it stays warm and leave the rest in the pot. Add the chicken to the pot, putting it on top of the fruit mixture. Pour in in the wine, cover, and simmer for 35 minutes or until the chicken is tender and cooked through. Season with salt and pepper. Remove the pot from the heat and serve immediately with the reserved ham, vegetable, and fruit mixture. Note: I stopped by so many markets the day I made this but always managed to forget the capers. I used olives instead but would not make that substitution in the future. I have to be honest, I love the looks of this cookbook not just because of the contents, but the cover! I think it would look beautiful on the cookbook stand in my kitchen. Question – do a lot of the recipes contain hard to find ingredients or require cookware that’s a little bit unusual? Or are the recipes fairly approachable and easy to make/prepare? I haven’t found anything unusual or too demanding as far as sourcing ingredients. She also offers some good substitution ideas in the glossary in case you can’t find something. I was given this book for Christmas and, after opening the pretty cover, found the book to be quite intimidating. I have skipped over a lot of recipes because of the ingredients required which are not always easy to find where I live and the few recipes I have tried so far have left a lot to the imagination. 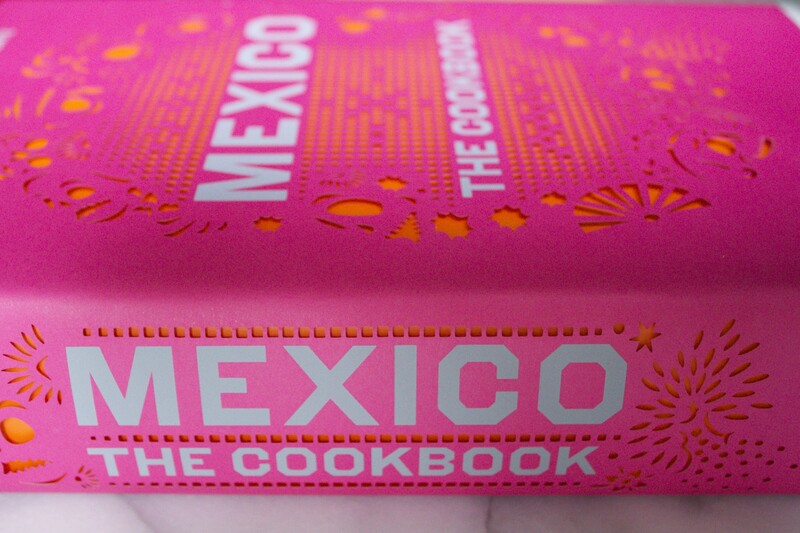 I think it’s probably a great cookbook if you’re already experienced with Mexican cooking (which I’m not! ), but I missed having the background on the recipes and some indication of what the finished dish was supposed to be like (as well as some fairly fundamental instructions on what to do with some ingredients in the ingredient list!). You have inspired me to give the book another try, but that will have to wait until I’ve got through all the recipes I’ve bookmarked in my most recent purchase (your cookbook: The Cuban Table!) 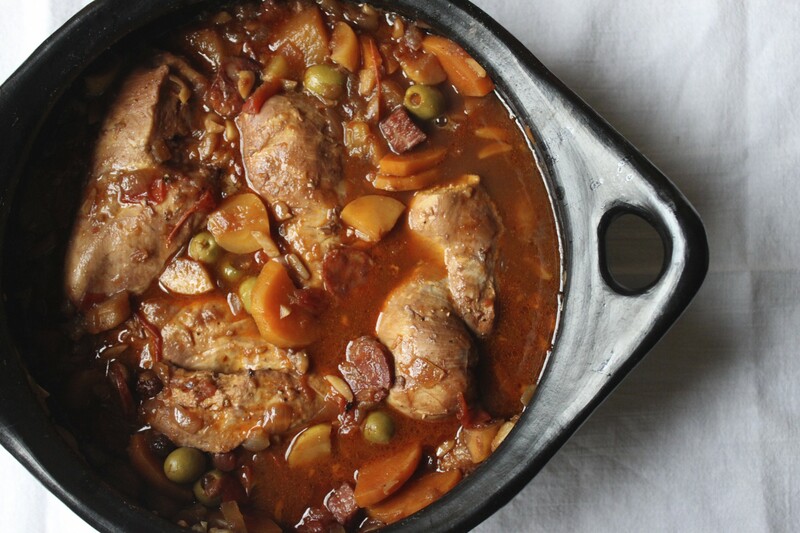 … now those recipes are proving to be a real hit with my family (I’ve made ropa vieja and the black bean pottage so far!). I hope you do. There is incredible variety so I’m sure you’ll find recipes with more easily accessible ingredients. I found it helpful to read the reference pages before starting the recipe in case she had any specific instructions on how to prep them. I felt the same faced with this lovely cookbook when I got it for Christmas and the dilemma what to cook first. I started with Cochinita pibil but sadly have to say moved back to Diana Kennedy for desperately needed further explanations (how to deal with the banana leaf) and recipes for necessary ingredients like achiote paste. Also was rather taken by surprise by the lack of fish taco recipes or similar (except one). I thought there must be lots of different ones or at least a few from the coastal regions. Though this recipe sounds like I should go back and try some more things from the book! Thanks, Nicole. I bought this book too! And I’ll be honest, mainly because it was too beautiful not to! I’m quite intimidated by the volume of recipes. 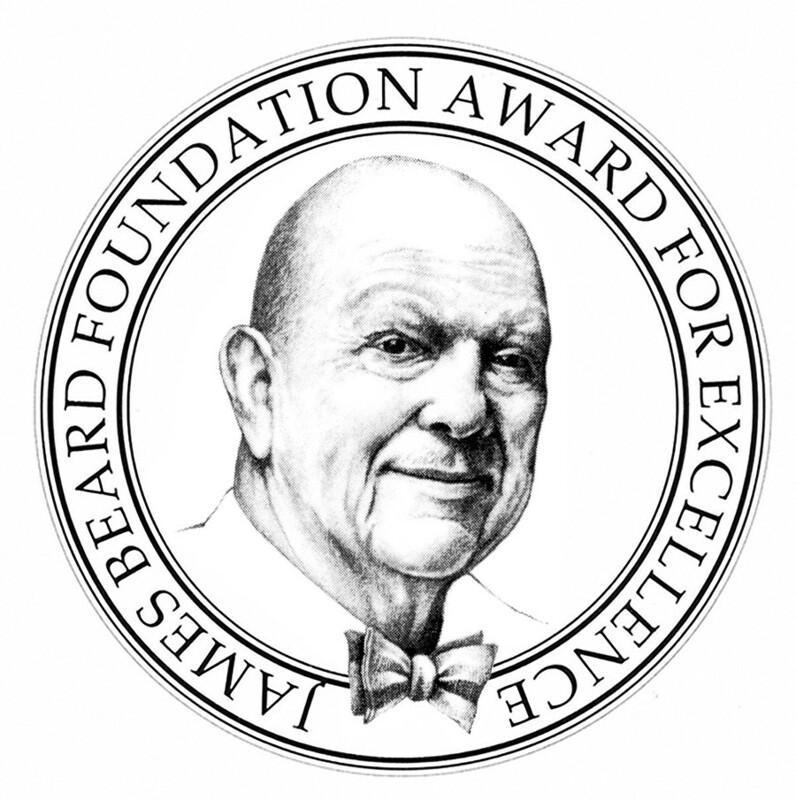 Do you know which recipes would be good to try out as a beginner/intermediate chef?